It only works half the time, and the fact that some of the effects still have those burn marks should be considered bugs for now. You simply can't have the effect dynamically position itself on the right angle on the wall all the time. Yeah that's what I figured when I was messing with impact effects. Pity I hoped for a bit that someone had solved the problem. Can you say when the release date is of the mod /era? When its done simply. A work of art shouldn`t be rushed. Fives wrote: Can you say when the release date is of the mod /era? -The holograms for the grenades are awesome and very original! And the droid popper's explosion looks good, as well as the thermal det's. I agree , good job wulf. slowly, but steadily continue work on it. as in are they still there? while health/ammo droids would in my opinion be better off removed, will dead enemies still give you drops? and will drops be changed? -can you show us the list of the current republic side soldiers ? Possibly a list of future plans for them? And while they are all great, well made mods, the one thing they tend to change with all the new content is the pace (speed) of battles. Now i would like to suggest, that the movement speed of soldiers in the battlefield and overall (average) power of units be a bit toned down. 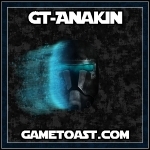 -how do you plan to manage the drops (bacta tanks, ammo, stamina ect) and ammo/health droids? 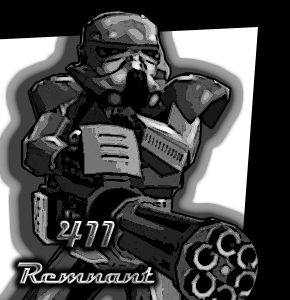 to what the heaviest trooper in vanilla BF II had, maybe even a touch slower. That gives you some fear for your life out in the open, and makes sure fast mouse/button mash doesn't always win battles. I'll try and address things in order. I don't have any plans to remove medical or ammo droids. The way they look and function might change in the future (ammo droids giving out more ammo less often most notably, to prevent sitting on an ammo droid to spam grenades), but I don't think I'll remove them. As for drops, I also have no current plans for these. I could experiment with turning them off, but honestly that would likely hurt balance pretty bad. I'll explain why in more detail later. I don't really want to put down a list of the republic units just yet. They're still subject to too much change right now. As for future plans, I don't have a written list of that either. As for unit speed, this entirely comes down to team balance. It's what happens when you are intentionally creating asymmetrical teams. The CIS units are overall slower than clones are, they are generally more durable (B1 Droids not counting), they can not heal themselves, and they outnumber the clones. The clones on the other hand are intended to be a highly mobile fighting force that heals itself as it moves across the battlefield (which is why removing bacta drops would only hurt clones and not droids). The clones mobility is entirely tied to the fact that the CIS outnumbers the clones, the CIS used to have a major advantage in terms of capturing and keeping Command Posts because they could just swarm capture things, especially with B1 help. 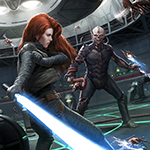 It took managing clone speeds and weapon performance to give the clones a fighting chance. The way Conquest as a game mode might also change in the future to give less advantage to swarm tactics. Another important factor in deciding clone speed is dealing with what weapons and gear they have. Choosing one clone over another needs to be tied to what situation the battle is currently in. There are faster clones whose entire purpose is to allow you to quickly reach a CP to capture or defend it. Other clones are more heavily armed but slower, and are designed more for killing droids and not so well adapted at capturing CPs. Deciding clone speed is important and changing often. I'm not going to put anything in stone. I can most likely promise you that it won't be as slow as you want. Regardless of whether or not I'd personally want to slow the gameplay down, it's entirely tied to how I'm balancing two asymmetrical teams. You said you haven't played Mass Effect Unification yet. I certainly would recommend it. We worked very hard on asymmetrical team balance in that as well. of AI not being as exploitative of its surroundings as average player. Hence the hp/ammo droids question, and mentioning of sprint/Alt. and AI clones never use it, then it is there soley for the convenience of the player. I thought you had a clone medic as "medic droid on legs"
Well I can promise you this, some units will be significantly faster (my fastest is currently 7.21m/s run 9.5893m/s sprint) than the stock heavy trooper (6m/s run 9m/s sprint). Otherwise they'd be pretty useless. 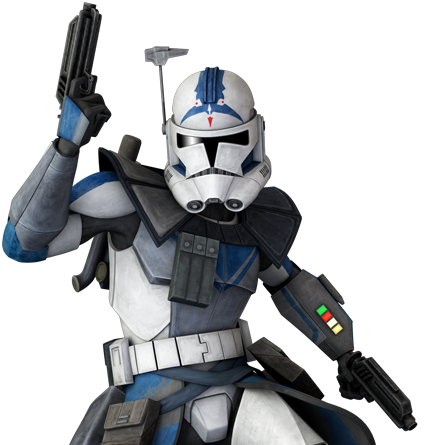 The only unit slower than the stock heavy trooper on the clone's team is the Heavy Weapons Specialist (5.0m/s run 6.65m/s sprint). I can at least promise you this, no clone will sprint as fast as they do vanilla (which is 10.5m/s for normal troopers). 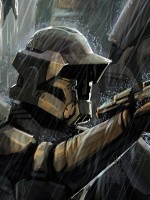 My focus is entirely on realism in this aspect, and 10.5m/s for a human under burden of armor, gear, and weapons would be impossible, even with the peak physical capability of humans that are presented in the clones. >Does it ever sprint/Alt except when you throw a grenade? I don't even see them sprint when you do that, I only see them roll to avoid grenades. The only time I've ever seen AI sprint is when they're following the player, sprinting from cover to cover or just sprinting to keep up with the player. I don't really see this as a bad thing. >I thought you had a clone medic as "medic droid on legs"
Yeah no. The Clone Medic will never be able to completely replace the functionality of a medic droid. >Can you do things in BF2 like have 2 different AI presets in 1 battle, like a dumber one for droids? >Can you reduce the maximum distance for shooting a specific weapon? Well yeah, but it'd affect both the player and the AI. Something I try to avoid like the plague when balancing droids. I'll get to that. >What kind of weapons do un-playable droids have? B1 Droids, B1 Sergeants, and B1 Rocket Droids get an E-5 with nerfed accuracy compared to the one players get. B1 Fire Droids get a flamethrower. B1 Sniper gets the "E-5s" sniper rifle. I don't really know what you mean by this, but anyway they fire relatively slowly. >what are your solutions for balancing teams, specifically droids? Too many to list. But one of the absolute most important solutions is deciding how accurate the droid AI is with their weapons. It's exceedingly important for me not to give the droid AI the same penalties that the players are given, because that becomes a major issue when trying to create units that are actually fun to play as. It's why I gave up on balancing B1 Droids to be playable units. I've had to also apply accuracy adjustments on the clones as well. The lack of healing for the droids means that their gameplay is entirely different from the clones, getting shot a dozen times is vastly more devastating since you're never getting the health back. With clones, getting shot once or twice isn't a big deal, since you can heal back up just by being near any other clone. Despite all of this, the CIS is still winning nearly every match right now. The reinforcement count is getting really close though. The CIS has only been winning with ~30 units left lately. This is looking really good Wulfman. One thing I love about what I'm seeing and hearing in this mod so far is the sound (among many other things). I love how this mod is shaping up. Are you planning on adding many maps? I see all these sweet era mods that are played on the boring stock maps. MileHighGuy wrote: Are you planning on adding many maps? I'd love to, but it's really not accessible for me to make maps since ZE doesn't work for me. I have to rely on others for that. When will this mod be finished? We've waited for more than a year, since the last comment on this thread. Domino555 wrote: When will this mod be finished? We've waited for more than a year, since the last comment on this thread. Please start reading the Site Rules, become familiar with it, and keep especially the following expectations in the back of your head before you make your next post. Please do not bump topics older than 30 days, especially when you have no new relevant information to add. 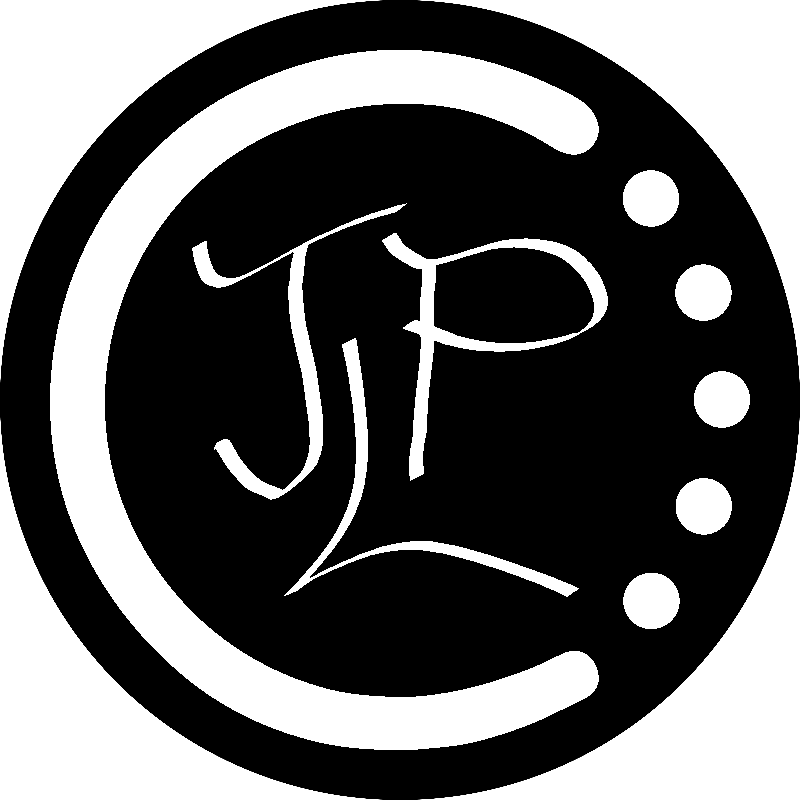 Please be courteous and do not pester/demand authors for updates on their mods. They will do so at their own discretion, when they do, without the need of reminders from you. Please do not make multiple posts in a row. The Edit button exists for a reason. Don't forget to actively read over the list of Consequences as well.